Amplify your wardrobe with the KLiiK:denmark KLiiK 516. Made of premium grade metal, these glasses are just as tough as they look. The KLiiK 516 features a rectangle shape that's made specifically for narrow and medium faces. It is available in Black/White, Cayenne/Lemon, Teal/Aqua, and Violet/Tangerine. 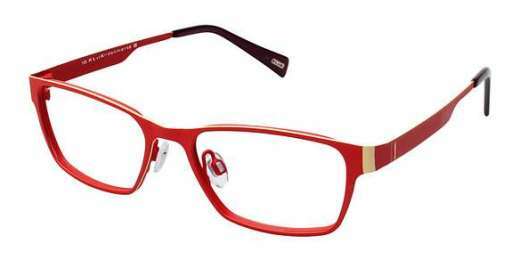 Press the reset button on your style - shop the KLiiK 516 at Best Buy Eyeglasses today.